273,11 € прибл. 19.656,25 руб. The Kühnl & Hoyer 1344G Bb Fürst Pless Hunting Horn is a Bb Fürst Pless Hunting Horn, featuring a yellow brass bell, with a nickel silver ring, and a leather wrap. 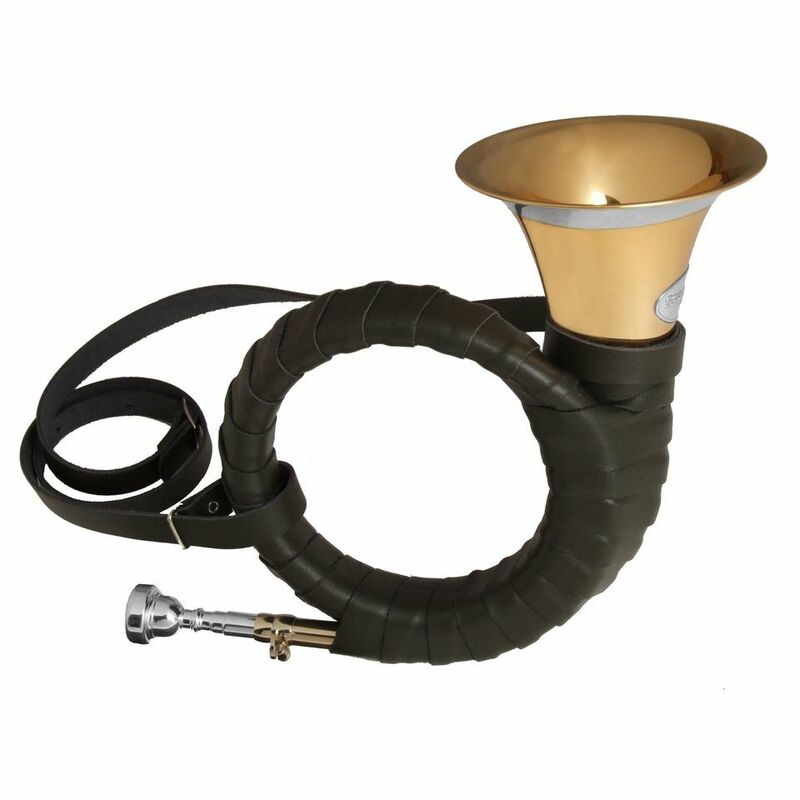 This hunting horn includes a silver mouthpiece and leather strap, and features a clear lacquer finish. This hunting horn is a soloistic instrument for the experienced and demanding wind player. The Kühnl & Hoyer 1344 G Bb-Fürst Pless Horn has a convincing sound thanks to a high quality workmanship but also by using carefully chosen material. Because of a wide student duel, a conical tube and the yellow brass bell the horn has a wide and open sound which is clear and soft.